Cryptopay FAQ: how to buy bitcoins? what is crypto card? etc - How does Cryptopay wallet work? All Categories › Exchange between accounts › How does Cryptopay wallet work? 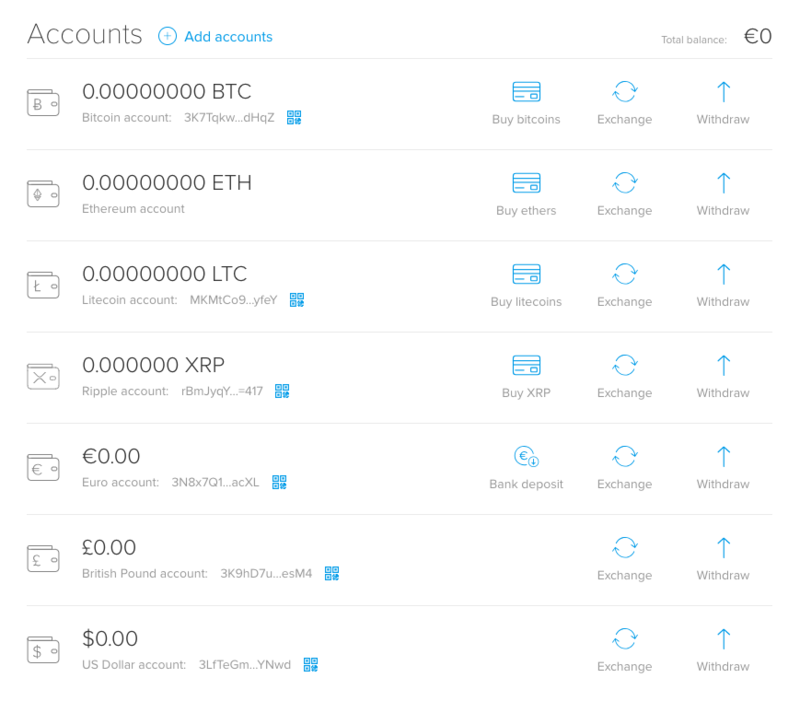 Cryptopay wallet features seven different accounts: Euro, Pound Sterling, US Dollar, Bitcoin, Litecoin, Ethereum and XRP. The idea behind the accounts is that you can store your funds in any of them, transfer between any of the 7 accounts anytime you want and even more. This feature allows you to take precise control over your money by spreading your funds across the seven accounts, making it easy to minimize the risks of market volatility. Cryptopay has taken the best features of modern digital banking and integrated them with innovative Bitcoin technology to create a simple interface that makes managing your finances easier than ever.